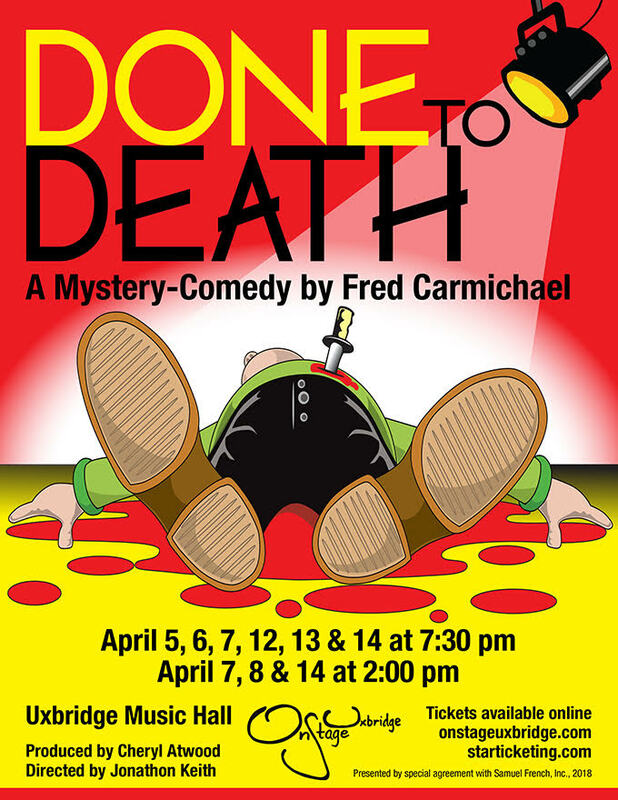 OnStage Uxbridge presents: Done To Death. "Plays a skillful and fast paced game of guess again with the audience." Fice has-been Mystery Fiction writers are brought to the mysterious Vulture's Vault to collaborate on a new murder mystery TV series. And then the real murders begin to happen and hilarity ensures. An ingenious parody of every mystery plot, hero and villain created in the past fifty years.